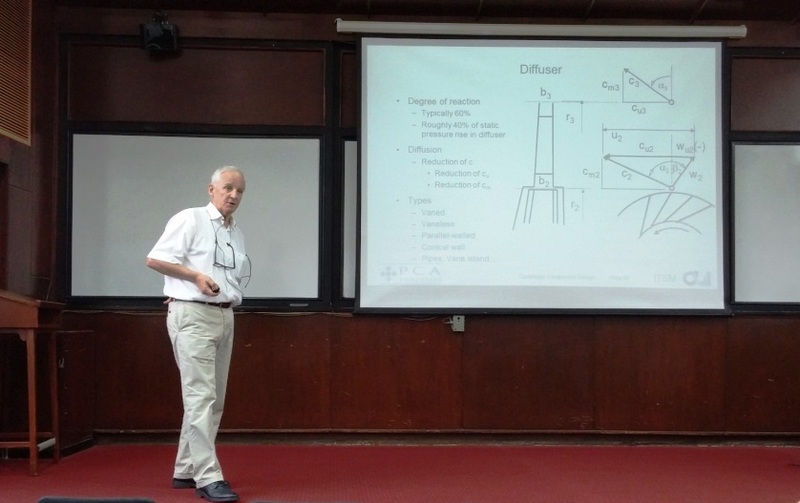 On November 4th 2014, for the second consecutive year, a turbomachinery workshop organized by Dr. Beni Cukurel was held by the Technion aerospace department. The training activities were geared towards creating a platform for world’s leading minds in the field of turbomachinery to come and share their knowledge with students, members of academia and industry. 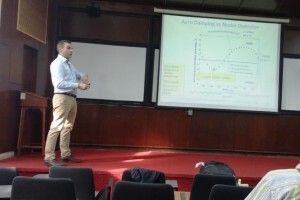 This year we had the honor of hosting Prof. Michael Casey and Prof. Damian Vogt – experts in the fields of radial compressor design, and turbomachinery aeroelasticity respectively. An introduction to flow in centrifugal compressors – velocity triangles and Euler equation, non-dimensional parameters, loss mechanisms. Key aspects of centrifugal compressor design – impeller inlet, impeller exit, diffuser, and volute. Centrifugal compressor performance characteristics – range, surge, and choke, performance map, stage characteristics. Modern centrifugal compressor design tools – VistaCCD, BladeGen. Introduction to turbomachinery aeroelasticity – general aspects, flutter, forced response, rotating instabilities. 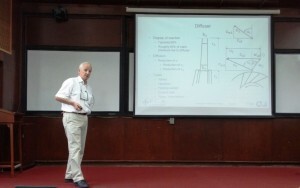 Methods in turbomachinery aeroelasticity – experimental methods, numerical methods. The event included participation of members from branches of MAFAT, members of Israeli Air Force, members of Bet Shemesh Engines, members of Rafael, members of Israeli Aircraft Industries, in addition to Aerospace Department faculty/staff/students. We have received significant positive feedback from all those who attended the sessions.